How would you like the chance to win a multi-million pound jackpot for just £5, well how about taking that chance and multiplying it by 100 to give you 100 spins on the Mega Moolah slot for just £5? If that sounds like a starter offer for the age then check out the 510+ games ready right now to play at the outstanding Captain Cooks Casino. What an outstanding bonus is on offer for new customers at Captain Cooks Casino. Simply register and deposit a miserly £5 and you will receive £25 worth of free spins on the millionaire-maker slot, Mega Moolah, the slot that has paid out the highest ever online slot jackpot in history. You will have 100 £0.25p spins on this most popular game and don’t forget bonus spins can win. One player, known only as G.M received a bonus from his casino of some free spins and turned that into a $3.9m fortune! However that is not the only bonus you’ll receive as a started. On your second deposit of up to £100, you’ll receive a 100% bonus, you’ll get a 50% bonus on your third deposit, a 25% bonus on your fourth and a 100% bonus on your fifth deposit meaning you could earn £500 in bonuses in total as a new customer on the site. You can start triggering your deposits bonuses for a minimum deposit of £10 and any bonuses are subject to a 60x wagering requirement before any funds can be released to a bank account or card. Remember different games can contribute a different percentage amount of the stake towards the wagering requirement. There are an incredible 510+ games available to play at Captain Cooks Casino and the great news is that new titles are added to the list of games every month from the fantastic development team at Microgaming. Research has shown that the most popular games on the site include the millionaire-maker progressive jackpot slot Mega Moolah, the excellent and somewhat creepy Immortal Romance and the evergreen and always hugely popular Thunderstruck II. In addition to these slots and hundreds more, there are also some outstanding table games to play such as a wide variety of blackjack and roulette games, plus an outstanding array of video poker games, including many multi-hand versions of the game so you can wager more hands with every game you play. 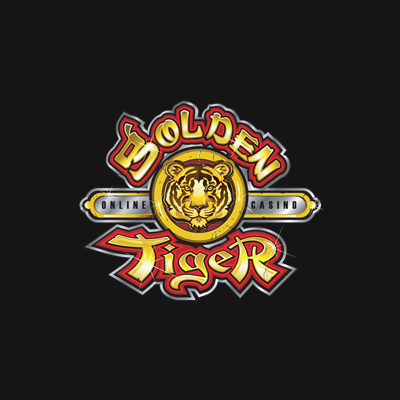 Add to this a smattering of some genuine blockbuster slots such as the fabulous Game of Thrones, Jurassic Park, Terminator 2 and Bridesmaids and you have a casino that offers punters one of the finest choices of casino games you will find anywhere online. This fantastic casino takes the famous explorer Captain James Cook as its inspiration for the casino, even down to having a ship symbol as the casinos main logo. You’ll certainly have an adventure or two yourself given the wealth of outstanding games available to play, all from the masterminds at Microgaming.